Clean her with warm water, and watch her mane, tail and celestial markings change color! When she dries, colors return to normal. 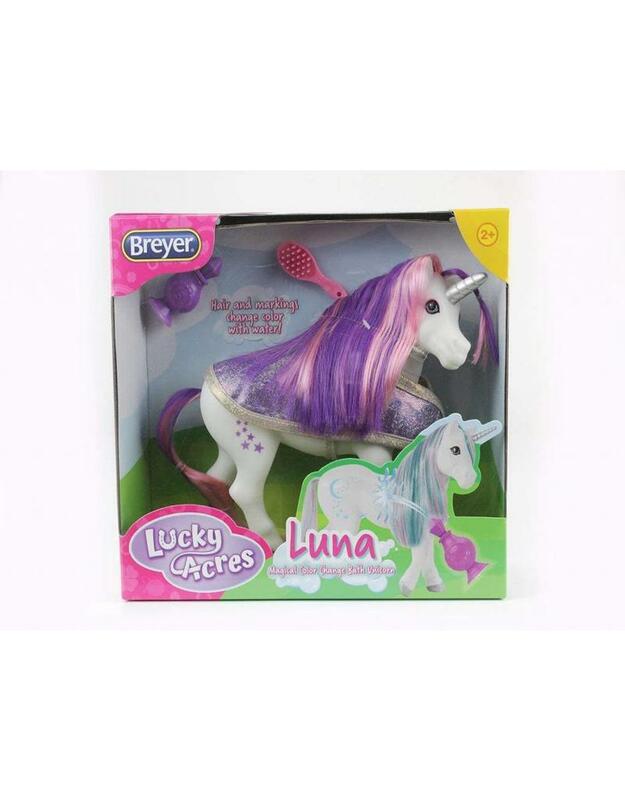 Includes: Luna unicorn, bathrobe, atomizer spray bottle, and brush. Luna will make bath time magical!